← Areva’s financial crisis gets worse. Is Hinkley Point at risk? The firm will partner with China’s State Nuclear Power Technology Corp and Turkish power company Elektrik Uretim AS to build, fuel, and operate four 115o MW AP1000 nuclear reactors. The deal is potentially worth $20 billion. In a breakout arrangement that represents the first major foreign project for China’s nuclear export program, SNPTC will work with Westinghouse to build Turkey’s third nuclear power station. 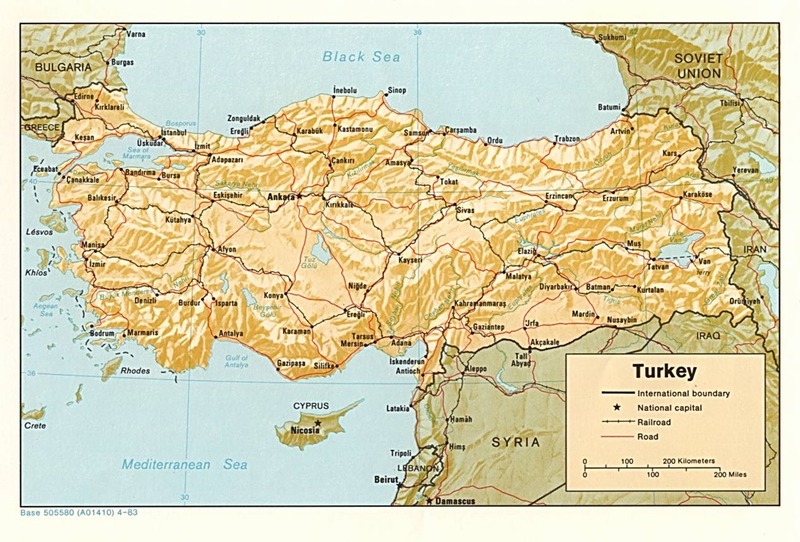 While no site has been identified, Turkey’s energy ministry has previously looked at locations north of Istanbul near Turkey’s border with Bulgaria. The site will likely be on the coastline to facilitate delivery of large components like the reactor pressure vessels, steam generators, and turbines. This is a complete deal for Westinghouse which involves development and construction as well as the complete life cycle of the plants, expected to last at least 60 years, including operation, the fuel, engineering, maintenance, and operations. Elektrik Uretim AS will purchase the power from the reactor complex. Construction is expected to start by 2018. Contract negotiations leading to the formal signing of contracts to deliver the reactors are expected to take about six months. There were no details at press time about how the project would be financed or whether Westinghouse or SNPTC would have equity stakes in it. Turkey already has two massive nuclear power stations under construction. The first is located in Akkuyu in Mersin on Turkey’s southern sea coast. It is being built by Rosatom and will be composed of four 1000 MW VVER reactors. Russia is financing the reactors. It will operate them for the first 15 years of their life cycle and then sell them to equity investors in Turkey and globally. The second reactor project was established in 2013 composed of a consortium of Japan’s Mitsubishi Heavy Industries, Itochu Corp. and Frances GDP Suez. The power station will be located at Sinop on Turkey’s Black Sea coast. The reactor will be an Atmea-1, which is an 1100 MW scaled down version of an Areva EPR jointly developed by Mitsubishi and Areva. Itochu is a Japanese conglomerate involved in multiple industries including metals, mining, and energy projects. Turkey’s rapid development of three nuclear power stations is the subject of a February 2014 review of that nation’s nuclear efforts from the IAEA. The UN atomic energy agency said in its report that while Turkey has made progress in establishing a nuclear regulatory and safety program, it needs to do much more. The IAEA also said that Turkey was banking heavily on foreign workers and needs to boost its domestic training of nuclear engineers, plants workers, and skilled trades. The reason, the IAEA said, is that the workers are needed to help build and operate a total of eleven new nuclear reactors. By 2020 all three sites will be fully engaged in construction. By 2030 all eleven reactors are expected to be in operation. Turkey’s long term goal is to reduce its reliance on natural gas to generate electricity and also to be a regional supplier of power. Paradoxically when Turkey first got started in 2007 with the bid process for the first nuclear power station, Westinghouse and other western vendors pulled out of the procurement process over concerns about protection of intellectual property and the need for guaranteed rates for the electricity. Since then Westinghouse has inked technology transfer agreements with SNPTC which is now poised to start construction of a derivative of the AP1000. A 1400MW design called the CAP1400. The first unit will be built at Shidaowan in Shandong province. Four Westinghouse AP1000s are under construction in China. Elsewhere, Westinghouse is supplying two AP1000s to Southern for a US site in Georgia and two more to South Carolina Gas & Electric in South Carolina. Two more reactors might be built at Duke’s William States Lee III site, but the utility recently said that while it will seek a COL from the NRC, due to demand and regulatory issues, the construction scheduled is pending. Westinghouse is slated to supply three AP1000s to the UK new build at the Moorside site in Cumbria. A project at Kozloduy in Bulgaria is pending until financing arrangements are firm. This entry was posted in Nuclear, Turkey, Westinghouse. Bookmark the permalink. Turks are going to try out everyone … 4 reactors each from Russia (Rosatom) Japan/France (Mitsubishi/Areva), and US/Japan (Westinghouse). Their foreign fossil fuel bill is $60B / year, so it certainly makes sense.